Ebisu Yokocho | Retro and lively bars & restaurants – a fun stopover in Ebisu! Ebisu is a popular city in Tokyo. It is convenient to access, has fashionable cafes, restaurants, homely shops, and sightseeing areas. Everything in Ebisu attracts lots of people including overseas tourists. It’s common to have beers at Yebisu Garden Place, but it’s not only the place in Ebisu. Don’t forget Ebisu Yokocho when you go out for beers! Old-fashioned shopping streets, friendly bars and restaurants. You can enjoy a casual outing in Ebisu Yokocho. Try all delicious stops in Ebisu Yokocho – girls’ bars (all bartenders are female), bistros, sushi, tapas, Korean BBQ, food to accompany your sake! 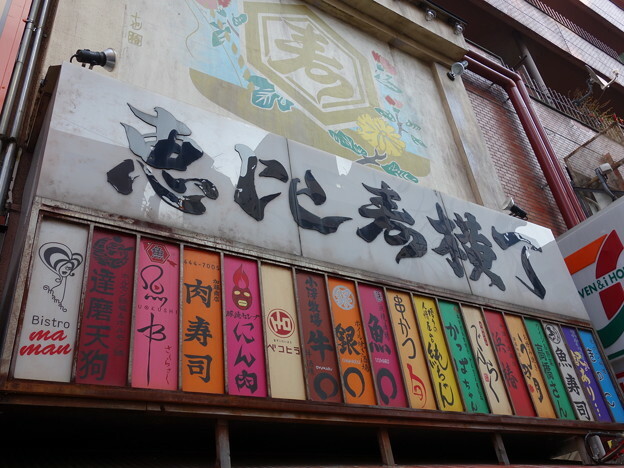 Ebisu Yokocho faced some difficulties in the past due to an aging population and lower birthrate, megastores cannibalizing business, lack of successors to take over the store. Ebisu Yokocho saw a revival after shifting its storefront to suit consumer needs. Supermarkets were replaced with restaurants and wetting grounds, attracting a new customer base and revitalizing the area. The main players of course are the energetic store owners and fun customers! If you listen carefully you can hear the powerful calling from Ebisu Yokocho barkeeps now. Zabuton | Learn the proper etiquette around these seating cushions!